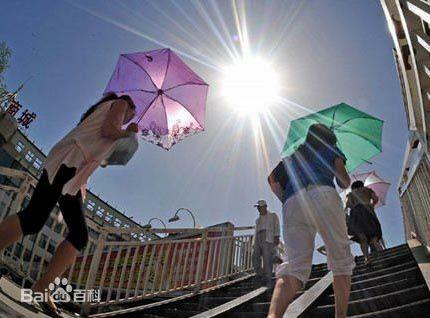 Credit: Baidu encyclopedia entry: "heat wave "
Beijing has undergone several important urbanization development stages since late 1978. Linked with urbanization, the so-called "urban heat island effect" is a key problem caused by urban land expansion. Such changes in air temperature in Beijing inevitably have an impact on the daily lives of its inhabitants, and is therefore of considerable interest to scientists and the wider public alike. "Heat waves can increase surface air temperatures over both urban and crop areas. Our results indicate that heat waves enhance nocturnal urban warming in summer in Beijing and further cause a change in daily mean warming to some extent. That is, heat waves induce a higher increment of air temperature in urban areas than in crop areas. This implies that urban land expansion may heighten heat waves in urban areas. Therefore, urban-induced warming should be considered as one possible source of heat waves in urban areas."